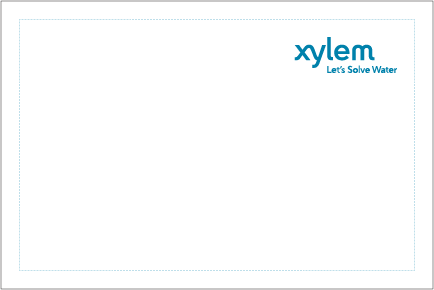 Note Cards & Note Pads | Xylem Inc. Even in corporate settings, sending a handwritten note is a considerate gesture. 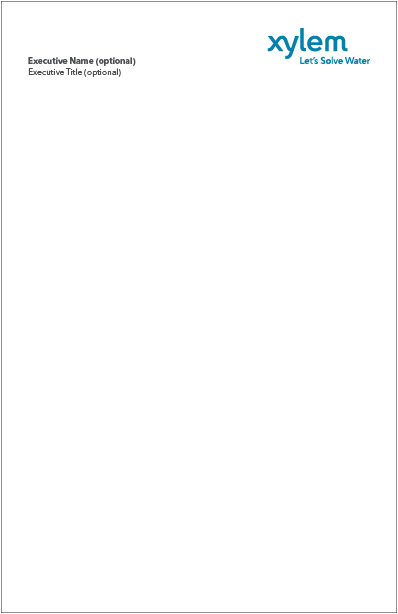 Several note card and note pad options have been developed for these situations. Your local printer can use the provided InDesign or PDF files to print large quantities of note cards or note pads to have on hand for when the situation calls for a personal note. 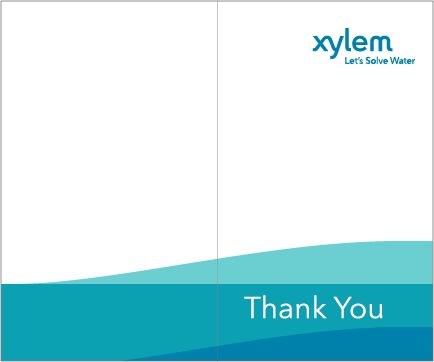 Thank you notes are available in two different designs, a simple one-color card and a two-color card that features the Xylem wave graphic wrapped around the bottom of the front and back. Both cards measure 3 inches (76.2 mm) wide by 5 inches (127 mm) high when folded in half. The insides are blank. There are three options available for note cards. 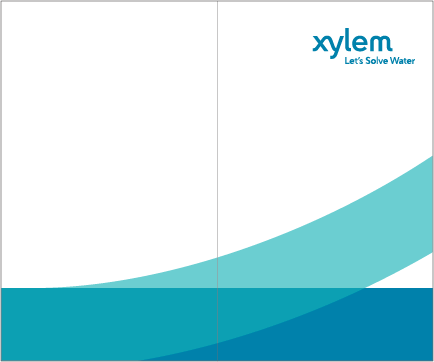 The first is a flat 6 inch (152.4 mm) wide by 4 inch (101.6 mm) high card featuring the Xylem logo and thin border on one side. 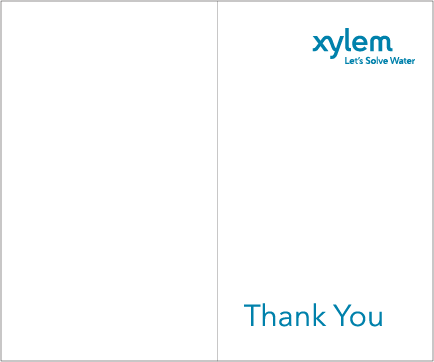 The two folded versions are similar to the thank you notes: a simple one-color card and a two-color card that features the Xylem wave graphic wrapped around the bottom of the front and back. Both folded cards measure 3 inches (76.2 mm) wide by 5 inches (127 mm) high. The insides are blank. Note pads are also available in two versions, one with lines and one without. Each measures 5.5 inches wide (139.7 mm) by 8.5 inches (215.9 mm) high and features the Xylem logo in the upper right corner. 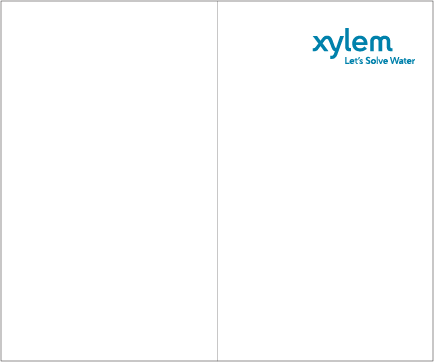 Note pads may be personalized in the upper left corner using 8.5-point Xylem Gray Avenir Next on 11 points of leading.